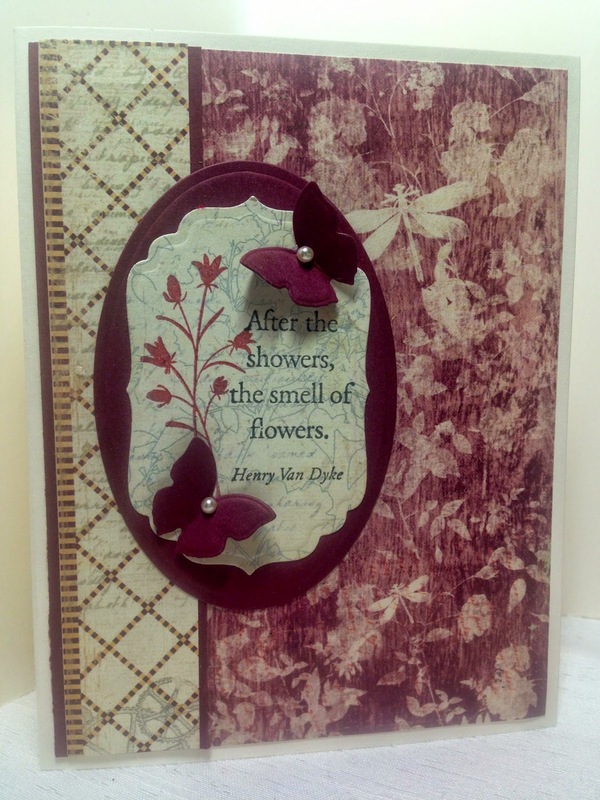 I stamped the flower image and sentiment directly on the designer paper and then cut out the interesting shapes using Spellbinder's Nestability Dies. 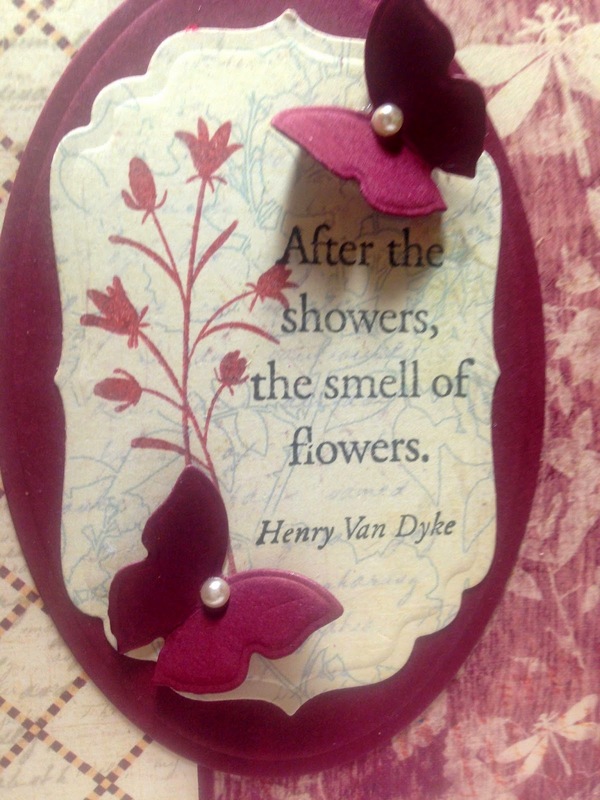 I then added a couple of butterflies cut out from Bravo Burgundy papers and put a pearl on each head. I glued only the body of the butterfly down and lifted the wings for dimension. Oh Amy, this is such a beautiful sympathy card! The colors you have chosen to use together are just gorgeous. Sure to touch the recipients heart. Great colors on this sympathy card and love the sketch!